It's offical, Baby S is no longer a newborn! I am not sure how I should feel about that. It feels like only days ago we brought her home from the hospital and she was a tiny little human who was still considered a premature baby! There has been so many major changes and milestones since then. Since she turned 3 months over a week ago now I thought I had best get a move on with her first Baby S at post! Baby S was a small baby but she is certainly not considered small compared to other babies her age now! From the very first weigh in done at home she has been smashing her way through the centiles. She has reached a new one every time. We started out on the premature baby centile guidelines and she went from the 25th to 79th by the time she was moving onto the normal centile guidelines. Which put her back down to the 25th, her most recent has seen her jumping up to the 50th. Pretty amazing and I feel good knowing that we achieved that together! Makes the cluster feeding much more enjoyable knowing it has such an amazing affect on her and helps her to stay healthy! 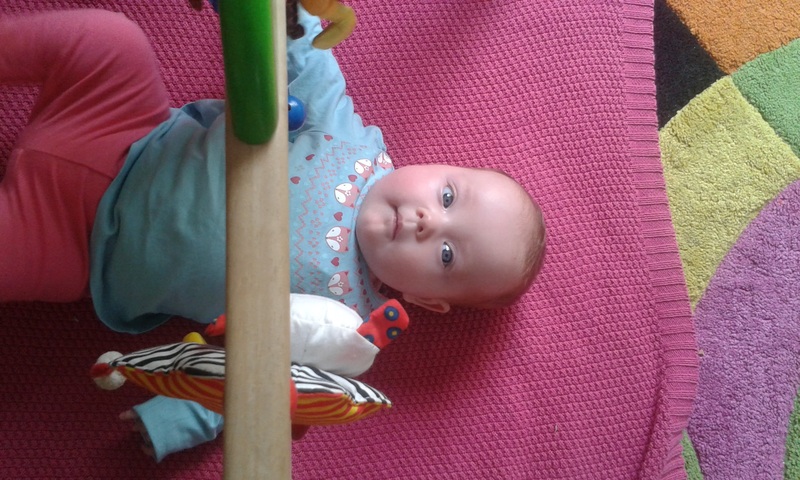 Baby S has changed so much in the last 3 months, her own little features have slowly appeared and developed. From those first precious days spent in hospital just us to her growing and changing right in front of our eyes! She is changing and growing and learning every single day. 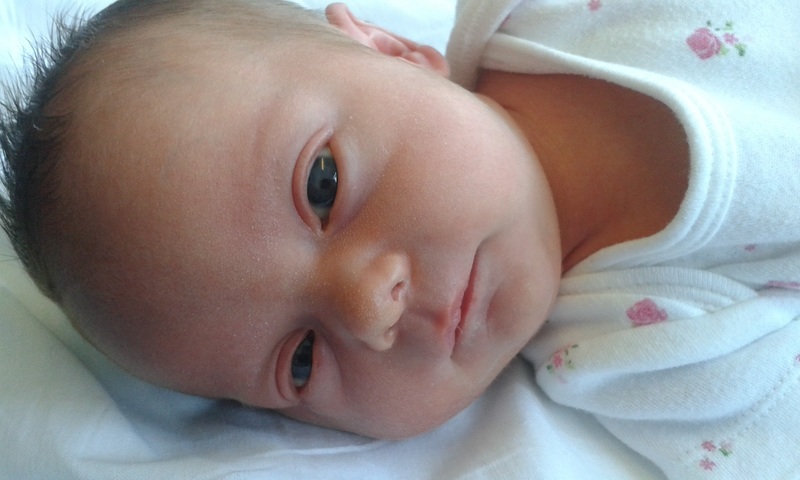 She now stays awake for longer periods of time and is usually awake for most of the day. She takes a 2-3 hour nap in the morning which usually starts during the school run and lasts until 10 or 11am. After this her next nap can be sometime around 3 or 4pm for an hour, sometimes a little longer. She can sometimes take a few small cat naps just after feeding throughout the day After that we can usually get her to go down around 9 or 10pm for the night and she'll sleep through until about 1am! 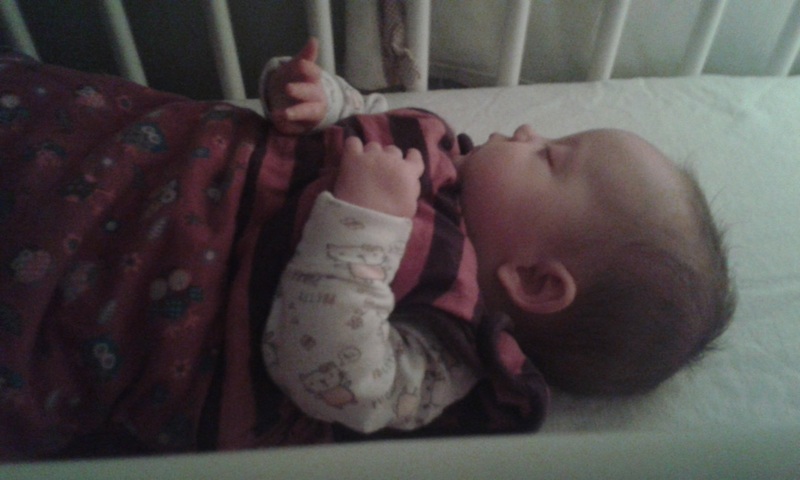 I so need to get a baby monitor so we can put her up in bed and let her sleep for as long as she wants. I am pretty sure I am the one waking her by taking her up to bed! Baby S has already hit so many great little milestones including her first smile, holding onto small toys and letting go when she wants to, giggling at her big brother and us, Turning her head, following us and our voices, Sit up without being held onto for a few seconds, sits in her seat alone, she can keep her head up during tummy time for a good few minutes and can lift her head up for a few seconds to look around while lying down. 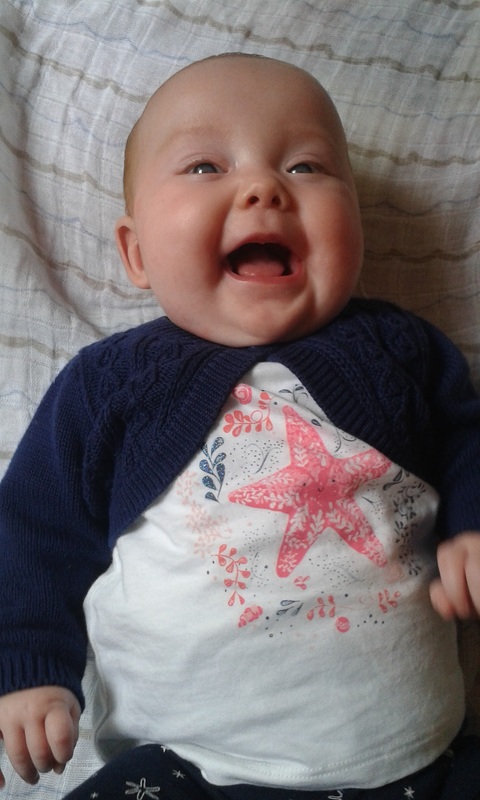 Baby S has also started to babble and I just love it! She loves to sit in her bouncer or on my knee and try making all the sounds she can! She gets so exited and happy when the sounds actually come out of her mouth. She has scared herself a few times too. We have now reached the point where she knows what she wants! She is very expressive in her sounds and will let you know if she is happy or not. Usually by shouting at you or screaming, I must say she doesn't really cry unless you don't do what she wants quick enough for her or if she is really unhappy. She smiles, giggles and gets excited if she likes something. She hates getting long sleeves on, she doesn't really mind other clothing but long sleeves always end up with her screaming while I struggle to put her arm in. Baby S has also started to take a great interest in food, mainly mine. She will watch me eat if she is awake (I hate people watching me eat but she's so cute!) Simon noticed her earlier today lifting her hand up to her mouth opening it like taking a bite and then pretending to eat by moving her mouth! Clever little lady! I am sure I have missed out so many little things from this post. I will have to start writing little bullet point lists to remember everything.